Senate Majority Leader and Mutant Turtle Boy, Mitch McConnell had the audacity to state that Americans will not tolerate the Democrats obstructing American CEO/Dictator Donald Trump’s picks for the Supreme Court, despite having obstructed President Obama’s pick for the Supreme Court for most of 2016. Then the Lord of Obstruction went on to say that Democrats should grow up and not obstruct Trump’s cabinet picks despite the Republicans doing exactly that in 2009 for Obama. New York Senator Chuck Schumer even posted McConnell’s letter to then Senate Majority leader Harry Reid that cabinet picks must meet certain standards. So basically Mutant Turtle Boy doesn’t want to apply the same standards for Trump’s picks. Please keep in mind that the new American CEO/Dictator hasn’t even released his tax returns and the ethically challenged Republicans aren’t even going to press him to do it. 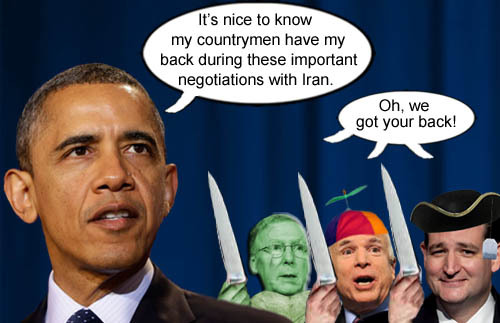 Because you know…it’s okay when Republicans do it. Here’s hoping the Democrats obstruct the Republicans Supreme Court pick for the next four years because the Republicans planned to do the same to the Democrats if Hillary had won. A noble American worker just can’t tolerate any more stupid, irony impaired and ethically challenged statements by Senate Majority Leader, Mitch ‘Mutant Turtle Boy’ McConnell. 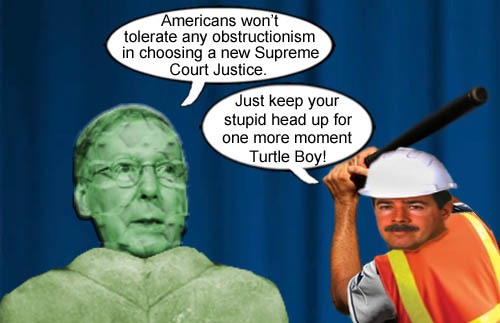 Senate Majority Leader Mitch McConnell pulled his patented turtle act again for Con-a-thon 2016. It was recently revealed that McConnell knew about the Russians hacking the election but decided to keep quiet about it. Wow! What integrity! A foreign, hostile government hacked the U.S. elections and he wanted to keep it quiet because it benefited his party. A man like that should be shoveling elephant manure in a circus. Wait a second…that’s what he already does. Senate Majority Leader Mitch McConnell, a.k.a ‘The Turtle’, boldly performs his turtle act and allows a foreign, hostile government to hack the U.S. elections allowing his fellow Republicans to commit treason and take complete control of the government. 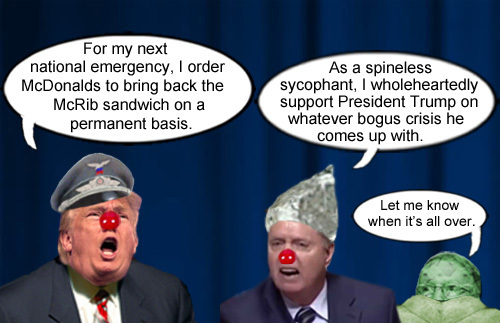 The knob on the Republican Noise and Fear Machine has been cranked all the way up to 11 this summer and fall in their desperate attempt to scare Americans into voting for conservative Republican candidates this year and give the Republicans a majority in the Senate and the House. This is the standard GOP tactic and has been used successfully many times in the past to get the American sheeple for vote Republican. What can a rational, thinking person possibly do to combat these horrifying, terrifying, frightening, scare tactics, you may ask? We could start by remembering the words of FDR; “We have nothing to fear but fear itself”. 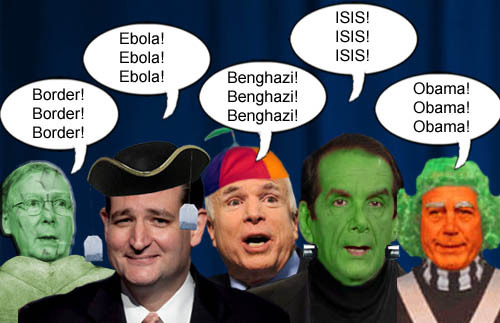 There’s really only one solution to this conservative Republican fearmongering: just say NO… to Republicans! 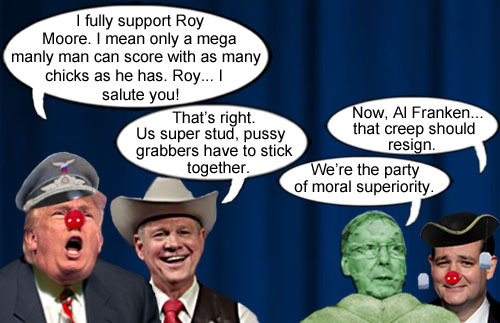 America’s favorite Republican ghouls have been out this Halloween season literally scaring up votes from the electorate. Recently, a bill that would have strengthened background checks for gun purchases failed to pass despite passing 55-45, this despite a majority voting for it and 90% of Americans wanting stronger background checks. 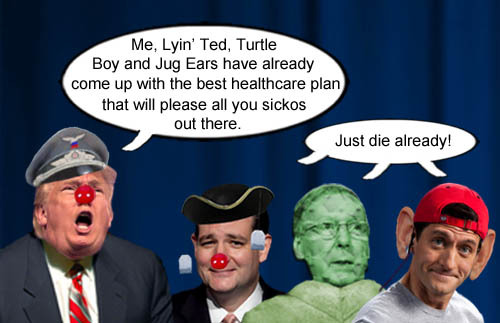 Republican Senators who voted against the bill proudly stated their obstructionism. Mitch ‘The Turtle’ McConnell even mocked the legislation on his facebook page after the vote. 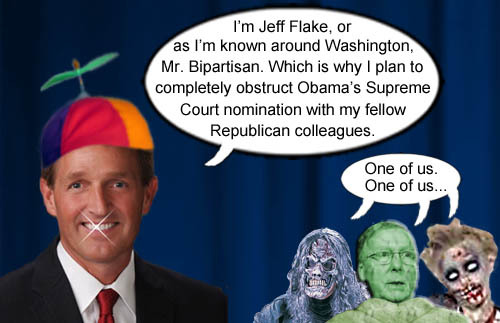 Then of course there is the dishonorable Senator Jeff ‘Two-Face’ Flake (but what a great smile and wow, the hair!) from our not-so-great-lately state of Arizona. He told constituents that he supported background checks and then promptly voted against the bill. Then his teenage son recently got into hot water when he tweeted homophobic and racist tweets on Twitter. That’s would Jesus would do, right? So much for compassionate christian conservatism. It’s nice to know that our elected officials are keeping their priorities straight, eh? 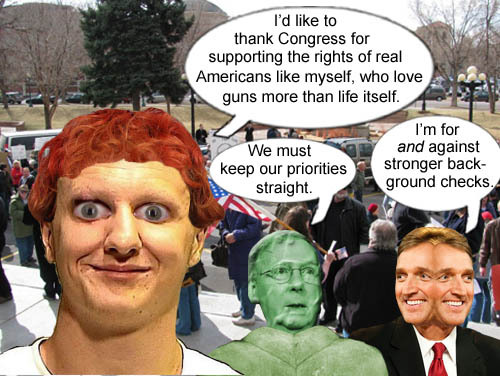 American gun lovers rejoiced after GOP Senators like Mitch ‘The Turtle’ McConnell and Jeff ‘Two Face’ Flake struck down legislation that would have required universal background checks on all gun purchases.